I need to do more underwater pictures. They're so much fun and it's an alien world right under our noses. This one uses just about every bit of my 16GB RAM. "Wow. There is so much life here"
One my all time favorites. This one just says 'dive in and forget the world' Love it. jlpilkin wrote: "The Retina (both jpg and png) version of this image is Poseidon instead of An Octopus's Garden. Just thought I'd point that out." Any chance of getting those Poseidon Retina versions posted here, to Poseidon? One of my favs. So I put the new version in separate tabs and switched between them. Even got the Mrs. to take a look. We both agree the new renders are gorgeous. The more vibrant color and added light intensity make this one pop quite well. The blur doesn't feel like it is adding depth on this one however. We felt the already hazy sort of coloring did that job quite nicely. The DOF blur just took away focus. I'd stick with version 3. The logo is almost invisible, though; was that on purpose? It's always a no brainer. I like version 3 the best out of all of them. The brighter colors makes everything seem more alive and vivid. Any chance of a dual screen render? "Has anyone ever told you how awesome you are?" Love the DOFless one! Christmas Present, Check! "Alternate Version poseidon3 is my fav"
Thank you, Ryan, for all your hard work. I miss snorkeling, and love this new version! Particularly the sharp, non-blurred one. Thanks! The higher res render is really quite sharp! I greatly prefer the original focus. I'm very sad that you did not keep it for the print version since this is one of my favorite wallpapers. I am loving this on HTC thunderbolt. So happy i bought a subscription. Using the Droid 960 x 854 looks fantastic. I keep a saltwater tank at my house so this picture is very soothing for me. Absolutely beautiful artwork all around though, you are truly talented. 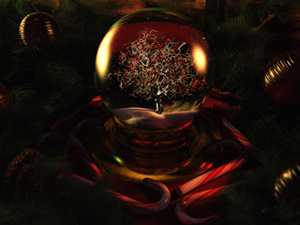 Santa needs to bring me a whole new machine to render this one. I cannot add any more RAM to my alternate box and I cannot monopolize my main machine to render posters. If people keep signing up this year I hope to put together a new machine by summer (fingers crossed). "How's The Print Coming Along"
Did you get memory from Santa? I love this! The Blue just pop out at you! I hear that, always looking to upgrade my computer but every time I think about upgrading one part... Might as well upgrade this & that to get the full benefit of the one upgrade. I very much want to render this one for print. Unfortunately this is one scene that requires my main machine to render. My alternate box only has 8 GB of ram and that is not enough to load this scene. Ryan, Any chance you're planning on rendering this one for Zazzle? I thought there was a print of it up. We're going to do an underwater theme for the nursery with some of the pics i've taking diving & I immediately thought it'd be cool to have a print of this too. "Something different, but equaly good if not better." I'm always looking for savers that remind me of an upcoming event and this reminds me of an spring break trip to Mexico:-)So beautiful! This is great. Would like to see more underwater. As always Ryan FANTASTIC doesn't even begin to touch this image. Keep up the great work. "I'll say it again if I haven't already..."
Your digital artwork is the best on the internet. It shows range, technicality, growth, and imagination. This one looks amazing on pretty much anything I put it on: my triple screen at work, my desktop at home, my laptop, or my PS3. The fish almost look like they're moving, and I almost wish they were. Absolutely splendid detail and awesome color. "An Underwater Heaven if ever there was one"
This is splendid. I have it on my three 42" Sony Widescreens, my older 15" 800dpi notebook, my fiance's Studio 14z 900dpi, and both Studio 17's 1900x 1020p. When you see our office, with this background art, and the store bought Marine Aquarium Screen Saver, all set for different times, it goes with the color of our office, perfectly! This one's very appealing, I think with sharks or even dolphins around could give it a better touch. Overall good work keep it up! This work is absolutely amazing, and has also been on my desktop since the minute it came out. It's gonna take something special for me to get it off lol. It truly decorates the room, as I have it on my 24" widescreen monitor, and on my 42" HDTV. This room now looks like the most beautiful dive site on Earth. Keep up the amazing work Ryan. This has been on my desktop for a week now and the more I see it the more it grows on me. such a lovely tranquil scene. 10/10. keep it up mate, hope 2010 is better for you. I'll be honest I nearly didn't renew my subs as I felt you weren't delivering as consistently as you used to but I'm glad I did as this a really great desktop that sees you in top creative form. Good one. ...The watermark on the triple display 3840x1024 is not positioned correctly, and slightly crosses over the monitor border. Several of your recent wallpapers have had this issue. Great spot though to visit! I'm flying there tomorrow! Jessie and I went scuba diving in Mexico a couple of years ago, and I've snorkeled near Fiji and Maui. I'd love to do more diving someday. I didn't use references when putting the scene together so it's pretty much an amalgamation of those previous experiences (plus a hearty helping of artistic license). The more I look at this on my dual monitors, the more impressed I am with the exquisite detail. Takes me back to my Scuba days in the Florida Keys. 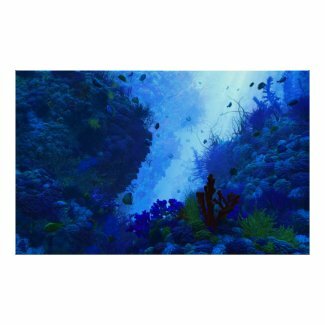 I have been looking for more underwater scene. Very well done. "A bit different.. I like"
I see you usually do not do many underwater drawings.. This is beautiful..
Hey, I see him! Now I wonder if anyone else noticed that? Anyone? I'll be sure to point him out when I get home tonight, lol. Thanks Ryan! Awesome wallpaper, such a treat! When my 7 year-old step-daughter saw this on my computer, she asked, "Where's Nemo?" I told her that Nemo doesn't live in that neighborhood. She was almost willing accept that until she spotted "Dory" on the screen. I was at a loss. I just thought I'd share that with you. "BB Storm image still wrong res"
It's still 320x480 instead of 360x480. I tried with 3 different browsers to make sure it wasn't cached. Please update it when you get a chance, thanks. "One of your best wallpapers ever!" I love this one. Keep up the GREAT work Ryan. I love the winter wallpapers you do, but now it's the New year and I'm suffering from that post-festive low this is exactly the warming magical image I was after. Thanks Ryan! I have it on my home computer and the dual screen one at work. Just brilliant. "You know, I've gotta say..."
I'm really surprised that there are ~15,000 members and we can only muster 289 votes. I wish more people felt it was important to throw a vote down when they download an image, so as to provide you with a greater glimpse as to what type of image is best received by your audience. On a brighter note though, hope your vacation went just swell!!! I wish I could afford a trip to the sun, sitting in about three feet of snow at the moment and the car's not working too well! >.< lol. Just a note that I like this so much on my 24-inch iMac that for now I've made it my full-time wallpaper. Perhaps an upcoming planetscape (hint) will send it back to my nature rotation... ALL my wallpaper is from this incredible site. Just put this as the background on my dual monitor setup. one word describes it. Wow! I love this one! I put it on the desktop right away :D I wish you did underwater theme pics with pretty fish and stuff more often. Perhaps in the future you could maybe do a wallpaper with a theme of a sunken city like Atlantis? Also, I liked the wallpapers that you'd do with those little boats in the past (like the one in Eventide). I'm definitely a fan of your wallpapers with any theme involving water. The Storm version is now available. Sorry for the wait!! Any chance of getting the Storm resolution corrected? Like "D" said, it's only 320 wide in stead of 360. The 480x320 (BlackBerry Bold) is missing -- actually there are two choices both of which lead to a no file exists message. It looks fantastic on my two monitors, thanks! Very nice. The detail is great and I like the foreground background separation. Make is less monochromatic and you'll have something. It's been a while since we saw a underwater picture. I think we could have made the colors on the coral and fish up close a bit more vibrant. However I do like how it looks. It looks beautiful. "Love Blue, but a little needs other colors too"
I love this one, and I'd love to see more on this theme. There's so many rich and imaginative possibilities this type of setting can have for a talented artist like yourself. I also like Blue, darkish wallpaper pictures, but now it would be nice with some other tones for a while. But as everyone knows, too busy pictures, especially in colors, does not go well on a desktop. So just some differently colored tones would be nice for a change. "I love it - blue and all"
Admittedly blue happens to be my favorite color, but this is hands down my favorite image that you've created. It looks so real! For those of you asking for more color... this is really what the ocean looks like underwater. I am a scuba diver and all the colors are a muted blue when underwater. The bright colors you see on T.V. is when artificial light is brought in. Now I do agree with others that we have had enough "blue-toned" renders and we need something new with color. I'm with dewd. on this one, it's nice, but needs some warmer tones, say some red coral. Could you provide a pickle jar version? Incredible depth (no pun intended) and detail. Maybe a picklejar version with some color?? Staying with the water theme wallpapers, I was just looking over some of your older work. I would love to see you redo the one from 2002 "Pharos by Night". I've always liked lighthouses and I'm sure with your current rendering software you could do a very good rendering redo of Pharos by Night or something completely new involving a lighthouse (especially a widescreen version 16:9 for example!). 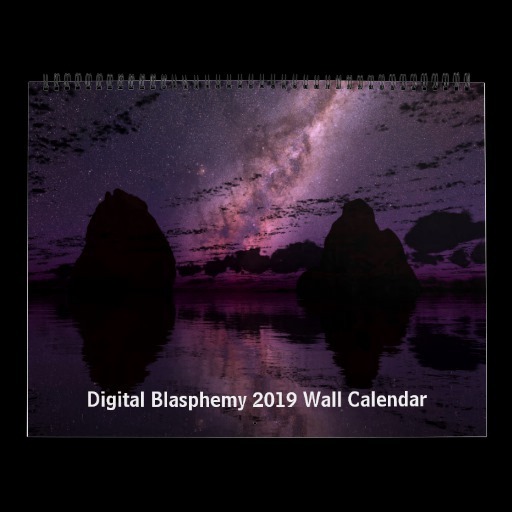 I almost thought of taking the 2002 version of Pharos and cropping it to a 16:9 format, but the picture itself looks "grainy" (not a complaint, I'm sure the software you had back then was the best you could do with it at that time.) Anyway, it would be nice to see you do a lighthouse theme wallpaper. Michelles post nailed it !!! The pallet of colors for a background wallpaper are superb . I am big fan of the flourescent jars but, as wallpaper , this one engrosses your mind with subtle detail as you go thru mundane tasks on the computer . My mind wonders if I go past the foreground will I make the journey to the end of the reef . much much more realistic then the previous ones! I have been longing for a realistic seascape for SO long! I've tried actual images, but they don't truly capture the beauty of the deep. The colors of the coral, the glow of the fish. Keep it up! Hopefully this is the start of more! Wow. 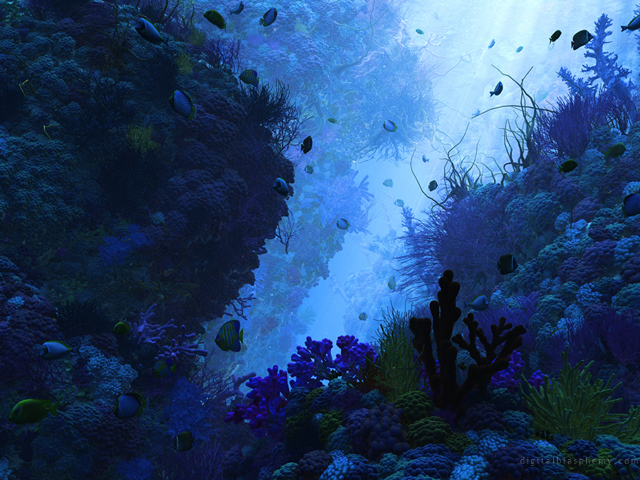 I love the darker colors and the way the light leads the eye through the reef and canyon. I can almost feel the weight of the sea around me, pressing on my ears, as I linger and delight in the image. Well done, sir. Very well done. I really love this one Ryan! As a former diver, this is a bit bluer than the way that the real reef does tend to look down deeper than the first 20 feet. If I could suggest anything it would be to brighten up some of the colors of the fish and the corals but only if the blue were lightened up would that look realistic. Nonetheless, this is a feast for the eye and you are a wonderful artist. Wishing you a much healthier & Happy 2010! "How about an Avatar/Pandora based scene?" Well done mate , A Beautiful Wallpaper ! Thanks for all the great wallpapers this year ! The last couple have been pretty much the same as far as your color pallet goes. even the few before this more recent of your notorious blue periods seemed a little dull in color schemes. try and make my eyes pop with the next one. let the colors themselves be your inspiration rather than a specific image or scene. I just want to say congrats on your success as an artist! Your work is the best and hope you continue it! Well, it's about time we got one with fish in it, and this one is really beautiful. Thank you for an exceptionally well-done job, Ryan. This one really shines. I was wondering if you could do a fireworks render for New Years Eve? It could also be used for the 4th of July. Last one you made was in 2004. I really love this wallpaper. Definitely brings me back to scuba diving in Florida Reefs as well as high school memories. I am truly happy as can be to see this type of desktop come around again. I have always liked underwater pictures with a reef like this. The colors and the atmosphere are amazing. I welcome more of these in the years to come!! Fantastic job. This is a great wallpaper!!! Although some color would be nice, the last wallpapers are blue. ¿Can you add some color?. This image is well suited for color. "BB Storm image is wrong res"
I love it Ryan! I've always been impressed with the aquascapes more than anything, maybe due to the fact that you can cram an insane amount of detail into them. Question though, there used to be a 640x480 resolution available but I am unable to find it now. Since I believe this is the correct resolution for the Droid Eris phone (or Nokia G1), is it possible to find this somewhere? I can always scale another 4:3 if necessary. This is my new favorite wallpaper. Gonna have to try and get it on my mobile device as well. Thank you so much! "This should go on your front page"
The moment I saw this one, I downloaded it and set it as my wallpaper. This one is fantastic. "Can't wait for the next one!" I really like underwater scenes. This one is really well done. 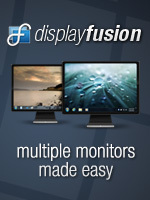 I hope you do another one and make it available for a tri-monitor setup. This is something I have imagined you doing.. just superb work here! Wonderful, Ryan! Your best underwater ever! You don't have any 5:3 aspect ratios available, though. Scaling images is easy, but changing aspect ratio messes up the watermark. My netbook is 800x480, but I'll happily settle for any larger 5:3 aspect. 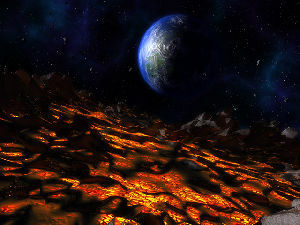 It would be interesting to see Muspelheim. Also it made me think how cool it would be to see the db version of Yggdrasil. I was wondering about all the blue pictures lately. I don't want this come come off wrong because I really do like them. I'm more curious about why you've been going in this direction? When I look at something that I consider to be great art I almost always start to wonder what was in the mind of the artist. You've truly outdone yourself on this one. Stunning. This is the best one ever. I don't give compliments freely, but, This baby is spellbinding. Love the picture. The title caught my interest and was blown away by the picture!! Love it! Now, THAT is cool. Love the blues. Maybe just a tad less light in the background, but totally awesome either way! This is one of your best ones yet! Love it! Absolutely fantastic! This is an instant classic. I hope you create more reef scenes. This is absolutely beautiful! I'm so glad to see an underwater scene. It had been a while and they're some of my favorites. ...since we'd had an underwater scene. a MASTERPIECE. Finally an underwater scene. Your underwater stuff was what firts drew me to you, so I'm glad to see you returning to it. And I can honeslty say this pic is awesome! Wow... I'm blown away by this one... I think it could be one of my top 10 favorite images... ever!!! Kinda reminds me of Avatar... a little bit. when I asked on ur facebook post if it was going to be a abstract, space scene, or landscape, or something completely new, and you said something new, I didnt believe it would be this. I've added the netbook resolution Mike. Thanks for the heads up! This looks great! I can't wait to see the multi monitor versions. Wow Ryan! You've outdone yourself with this one. 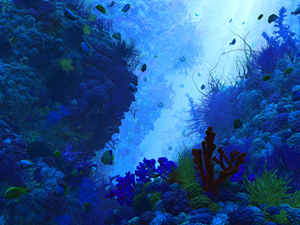 It's been years since you did an underwater scene, and it was worth the wait! this has to be by far the most absolute realistic thing you have ever created. phenomenal! Looks great on my Droid! I love underwater backgrounds!! I also can't download it strait from the droid, but I just download it to my PC and e-mail it to myself. Then you can set it as wallpaper for the droid. Make sure when you "set as wallpaper" to expand the cropping window to fit the whole image so you can benefit from the custom resolution. Hope this helps! Looking for water to start dripping out of my monitor now! Ryan, I've been hard on you the last few months but I want to say that this is possibly the best piece I've seen from you. AWESOME JOB!!! Beautiful. Hi Ryan, I'm back again - had quite a bit going on of late and had to tighten my belt in some big ways including not being able to renew my membership. I've been coming back to check out what you've been up to and your latest piece persuaded me to sign up once more. Hope you and your family had a good Christmas and best wishes for 2010! "I've been waiting for underwater scene!" Great job, as always! If you don't mind a suggestion...make the sunlight a bit brighter. So we can see the beautiful corals and fish. You wanted to change the mood from the dreary winter scenes...well this one is still a little dark. Toss this one in the pickle jar and turn up the sunshine! Apparently the fix hasnt been made yet. Just tried to download to my Droid with no luck. Drats! When I first downloaded this I thought it was kind of plain, but once I put it on my wide screen I was able to take a better look at it. The lighting in the background is great and really adds demention and depth to the render. Also upon looking at the fish I am so impressed on how realistic they look. So in the end the more I look at this the more I fall in love with it. Thank you Ryan for all the beautiful renders that you do. They are simply amazing!!! It looks great, I am an avid marine aquarist and I must say you did a great job. The fish are all genuine and look just as they would in real life. Excellent! I'm one of those members who likes to have a desktop that is inversely related with what is going on outside my window. Ergo, this one is much appreciated! Beautifully done! Your attention to detail always impresses me. "My red world here, now, means more to me than your blue one." Variety is nice, but I don't mind the blues. I do love seeing different versions of the same wallpaper, so almost any dayscape, I will wonder what it looks like at night, but we live on a blue planet! For now. Time to accept it. Migawd you do beautiful work! The Droid resolution is now available. Have they fixed the bug where you can't save images from password protected sites yet? Regarding the blue streak I've been on lately. What can I say? Partly it's been my mood of late, but also I think it's because no matter what colors I use people always ask for a "blue/night version". I promise to stay away from blue for my next project though. I'm thinking it's time to visit Muspelheim. First I am going to take a little break though. . .
Don't want to seem impatient, but will there be a Droid resolution for this one? Just wanted to say this is a great addition to your wonderful work/joy. Looks as though you dug deep to conjure this and your efforts paid off. Thank you! Thanks for another great piece! The blues remind me of the movie, Avatar, which I just saw. A visual feast, to say the least! Highly recommend you check it out. Good work as usual. After Cerulean, Sisters and The Ride wouldn't mind seeing something not "blue". I like it, though I wouldn't say it feels all that "warm". With so much light blue/white flooding the background, it almost looks like it's snowing to me! I still like it, I just didn't get the same feeling from it you did. The only other thing I'd mention is the plants in the foreground look a little off. The green ones look overly bright while the red-ish coral is more of a silhouette. The rest of the image is the best underwater stuff I've seen from you by far. Overall really nice! I have been a member for three or four years now and this is the first time I have been moved to comment on one of your works. My favourite DB artworks are usually your tremendous spacescapes although I have enjoyed your undersea voyages as well. This masterpiece, however, captures a superb snapshot of a reef going about it's daily business. As a keen aquarist, the fish are of particular interest but the whole composition, partnered with the inspired lighting ideas I find quite overwhelming. Thanks Ryan. All the best for 2010 for you and your family and I hope your health continues to improve. It's been a looong time since your last underwaterscape(Flight of the Hammerheads was it?). I love it as it is, but I wouldn't mind a little bit more color on the "fishies". Especially since I will be going on a cruise the week after next and so this is really getting me in the mood. "Needs a dash of color"
I dont mind the blue but could you at least add a lot more colorful fish? It needs some bright yellows and a few reds even. A streak of Blue isn't bad, there's older images to fall back on if you get sick of it people. Totally beautiful. Wish you'd get off the blue streak you're on as well. It's my preferred color too but come on. This one got a ten from me. Beautiful underwater scenery. One might think you had been working on nothing but underwater scenes for the last three years. Absolutely stunning. How about another cave scene? It's been a while. This is one of your best yet. I like it almost as much as Snowy Creek, and that one is my favorite wallpaper of all time, by any artist. Cool render, yet I agree with the comment below, enough of the blue! I go where the muse takes me but I can see your point. Wow this may be your best underwaterscape yet! I love it!! Absolutely amazing! Another great one. Thanks, Ryan!